For those who visit my blog fequently, you would know by now that I have very oily and pimple-prone skin. I have been battling with acne during my younger days. I suffered from serious acne due to hormonal imbalance when I was studying in uni. Hence, I have bad acne scarring all over my face until today. Recently, I am trying out Derm 10 products for a few weeks already and would like to share with you my thoughts about them. 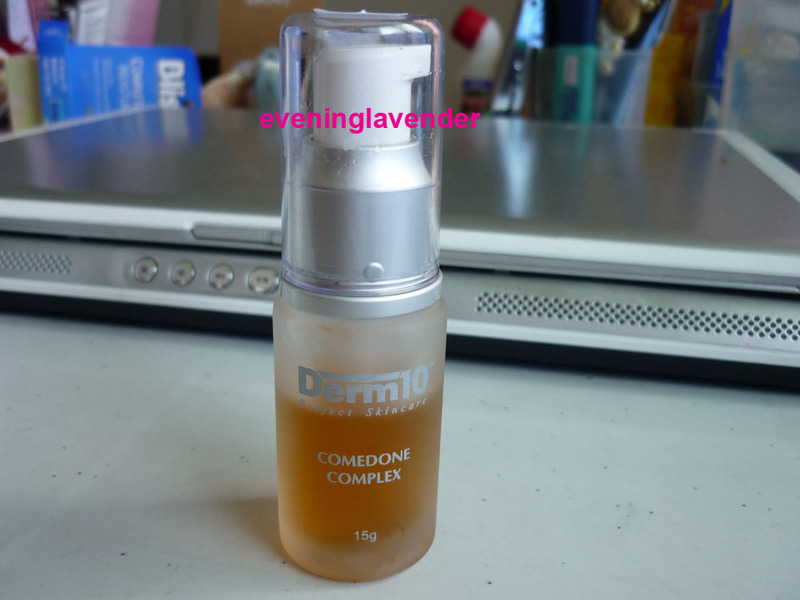 Derm10 is a salon product created by dermatologist. It has a higher concentration of active ingredients compared to counter products. The products are manufactured in Malaysia but the formulation is from US. A combination of herbal and botanical extracts known to be effective for comodone (black heads and white heads) treatment. Regular application helps to dissolve keratin impacted in comodones, This complex also has anti-inflammatory and anti-bacterial activities. 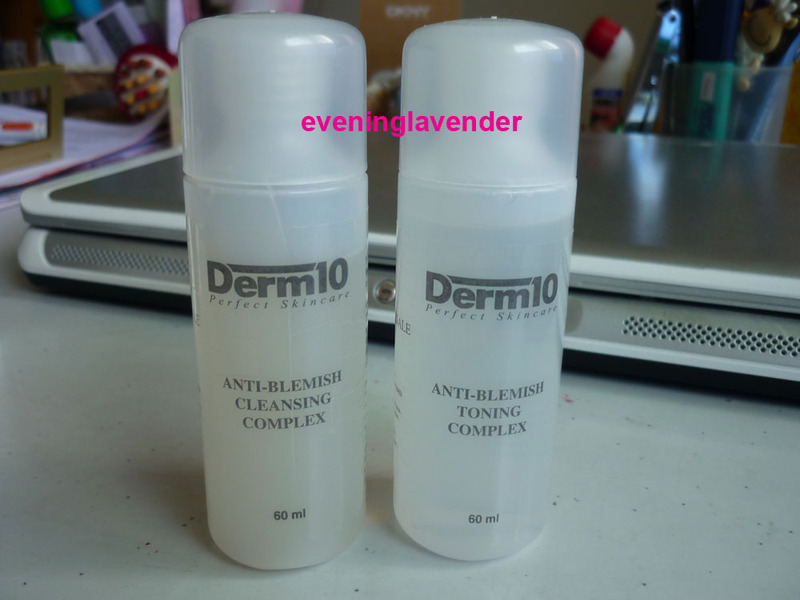 What I like about Derm10 Comodone Complex? However, my skin is slow to absorb it. My beautician did comment that my skin is slow to absorb. i don't know why. I find that after using for 1 week, when I apply light pressure to squeeze my white and black heads, they came off very easily. I recently went for facial and the beautician commented that my skin is very clean with very little white/black heads. A gentle lotion containing Alpha Hydroxy Acid (AHA) to exfoliate excessive corneocytes. Regular use will also result in a smoother texture. 1. After toner and Comodone Complex, I use 1 pump and pat on the skin. Avoid eye area. Do not rub in. 2. This product must only be used at night only. Do not expose your skin to the sunlight when using this product. I was instructed to use the products for 2 weeks and stop for 2 weeks. Repeat the cycle until you are happy with the result. 1. Immediately after I applied on my skin, I felt a slight tingling sensation. Some people may experience a mild burning sensation. The effect will go away in a while. 2. Over a period of 2 weeks, I can see that my skin texture has slight improvement. 3. I also experienced some redness and slight peeling after using for 10 days. A truly powerful, natural and oil free humectant, to attract water molecules to the skin, preventing water evaporation, and stimulating new cell growth. A major component for skin tissue repair. Recommended for all skin types to achieve a full and plump look to the skin. After toner and Comodone Complex I use only one pump and pat on the skin (for Day & Night use). Followed with moisturiser. I omit moisturiser most of the time. 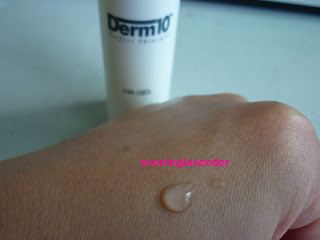 What I like about Derm10 HA Gel? 2. It is oil free. the texture is watery and transparent. 3. It applies smoothly onto the skin, the weightless feeling is great. However, my skin is slow to absorb it due to no apparent reason. Note: Please excuse me for showing you these gross pictures. Even though my skin does not show drastic improvement, it felt smoother and cleaner after 2 weeks of usage. With continued use, I hope to see more improvements. Overall, I am quite pleased with the above Derm 10 products that I have tried. I feel that it is not too harsh for my skin. I would like to thank Derm 10 for letting me experience their products. Note: I am not paid for writing this review. 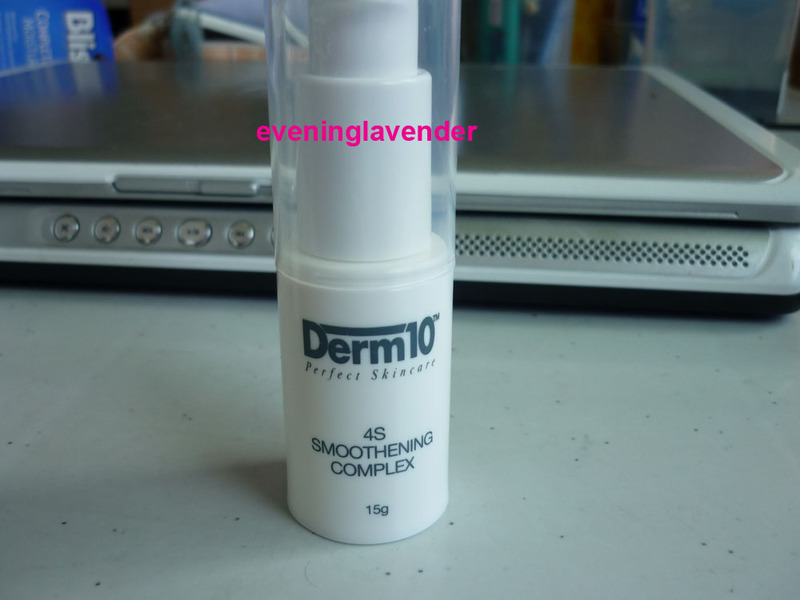 I am writing this review based on my experience using Derm 10 products and all opinions are not influenced by Derm 10. You may experience similar or different result due to different skin types and conditions. Do share if you have experience using these products before. But I thought the price is quite reasonable considering the high concentration of ingredients. You must tell them your skin condition and they will recommend to you the suitable products.They can send you the product also. I think they have a shop in Bangsar. if u cannot get a reply, pls let me know. I will contact them. Will u leave your contact no or email address, I will contact u. Thanks. I will try to contact them first. If unable, then I will only seek for your help. Yes, I agree that the product is quite effective at reducing blackhead. 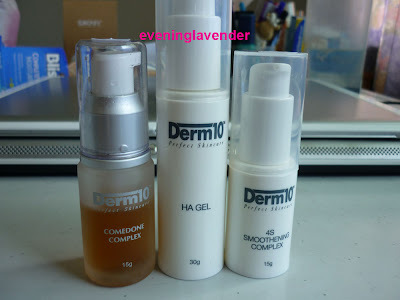 I love this products very much....It suites my skin after i had tried out with many different brands of skin care products which really cost me a lot....Do u have any idea where i can get this product in Kuching, Sarawak? I'm interested to try this product and have tried to call this number 03 6272 8988 many times, but unfortunately there is no one is aswering. I'm looking for full address and contact number for Bangsar or Bukit Bandaraya outlet. Really hope you could assist me. You must call after 11am. Or you can email to media@derm10.com. I lost the PR person hp no. my hp was lost in a robbery last month.